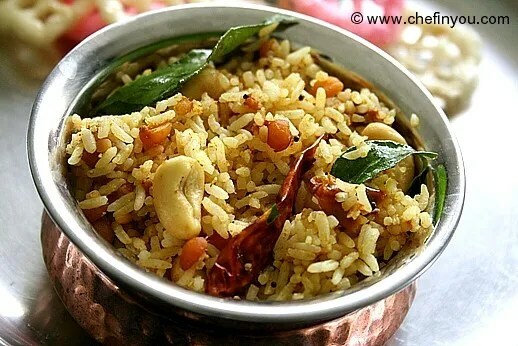 Making the south Indian diet super healthy! | Harder. Better. Faster. Stronger. Making the south Indian diet super healthy! – We have the concept and even the specifics figured out, but how do these come together as food on our plates? – How can we tweak the traditional south Indian diet to make it healthy and sustainable in the long term? – Oils – Avoid all vegetable oils. Cook everything in butter, ghee or coconut oil. Use olive oil for super low heat cooking or as dressing. – Sugars – Avoid anything that is sweet (except fruit). This includes ALL sugar from table sugar to honey to maple syrup to sweeteners and flavored foods from nonfat vanilla yogurt to diet soda to all natural orange juice. – Grains – Avoid all grains except white rice. This includes all grain containing foods from roti to poori to rava upma to biscuits. – Beans/legumes – Soak raw beans, legumes and lentils for 18-24 hours before cooking. Once the clean canvas has been created, we add nutrients. The goal here is, in each meal, to reduce the total calories consumed from foods that contain little nutrition (rice, lentils etc) by substituting with foods that contain plenty of nutrition. For example, instead of eating 3 cups of rice, rasam and potato, eat 1 cup of rice, 1 cup of fibrous vegetables, 1 whole egg, 1 cup meat or vegetable gravy and 1/2-1 cup yogurt. Following are food groups that are rich in nutrients and lend themselves well to be paired easily with our anti-nutrient free base. 1. Vegetables – Any and all vegetables that are in season and available locally. Organic is of course preferred. 2. Fruit – Any and all fruits that are in season and available locally. Organic is of course preferred. 3. Meat – Any and all meat that is locally available and is free range or grass-fed as the case may be. 4. Dairy – Whole milk, whole milk yogurt, full fat cheese, ghee. Organic and grass-fed is recommended. 5. Eggs – Chicken or other bird eggs. Eggs from free range chickens are recommended. 6. Seafood -Any and all wild caught seafood that is locally available. Now that we have brushed over the basics, I’m going to take 5 very typical and traditional vegetarian south Indian dishes which either lack nutrients or contain anti-nutrients and reinvent them to make them super nutritious and more importantly, nutritionally relevant to our sedentary lives today. Honestly, this is so ridiculously simple and intuitive that you’re either going to kill me for the hype or kick yourself for not coming up with this yourself! I love dosa like an anteater loves ants! Every time I came home for vacation from college, I would eat about 10-12 of my mom’s awesome dosas every single day! That’s how crazy I am about this crispy sheet of crack! Traditionally a typical dosa meal is pretty much just dosa that is served along with some coconut chutney and/or chili powder and/or sambar. Though very skinny in anti-nutrients, the meal is heavily skewed towards carbohydrates and has little to no micronutrients. Here are some ideas to fix this. – Top each dosa with 1-2 eggs, an ounce of cheese and some finely chopped vegetables. Serve this along with a side of vegetable-coconut gravy for a well rounded meal that is rich in protein, fat and carbs and filled with vitamins and minerals. – Make the dosa a burrito of sorts and fill it with ghee sauteed vegetables and/or eggs and/or meat. Add in some yogurt to replace the sour cream if you care. – Make any meat or egg or seafood gravy plump with Indian spices and have plenty of it as a side for the dosa. This is exceptionally delicious and ensures that you get your protein and reap the benefits Indian spices have to offer. – Make a large dosa. Top generously with traditional tomato chutney, mixed vegetables and/or fruit (onions, mushrooms, peppers, pineapple etc.) and shredded cheese. Bake for 10-15 min or until the cheese melts to create a nutritious and very satiating dosa pizza. – If you’re in a pinch, soak the dosa (or Idly) in a cup of yogurt along with some spices and have that with a side of fruit. If you haven’t been the source of the greatly embarrassing but absolutely poetic iisssslllluuurrrrppppppp when eating sambar, you haven’t yet been south Indian completely! Sambar is very dear to south Indians and almost every single one of my client’s have asked me ways to include sambar in their diet! – Try making sambar with ghee and use just the right amount of ghee since the richness of the ghee will make make even a little seem like a lot. – Load the sambar with plenty of micronutrient rich vegetables. And by plenty, I mean PLENTY! This will result in making the sambar super thick. Top this bowl of awesomeness with 1/2 cup of yogurt and make it a meal! – Forget the concept of making sambar with a specific vegetable and make mixed vegetable sambar more often. Vary the vegetables you use and see how much variety that brings upon. Though you eat sambar everyday, mixing up the vegetables introduces variety in your diet which in turn nourishes you with a wide range of micronutrients. – As weird as it sounds to the seasoned south Indian ears, trust me on this and try making the sambar with eggs and/or meat. You will be pleasantly surprised at how well the textures and flavors blend. Since sambar is a lentil and tamarind heavy dish, I’d recommend that you go with meats with a neutral taste like chicken to ensure you don’t have too many competing flavors and aromas. There are few things that are better when made for a thousand people than when made at home for a small group and tamarind rice is one of them. Even as a little boy I was never big on temples. I constantly whined and complained and questioned everything from the rituals to the temple cow to the priest’s hairstyles and there was only one thing that could shut me up – the tamarind rice distributed at the temple! From a nutritional standpoint, there are only two issues with a tamarind rice meal – it is made with vegetable oil and it has nothing more than rice in it. Solutions? – Make it with ghee or coconut oil. – Add vegetables and dairy to the meal. The vegetables can definitely be a side and so can a cup of whole milk yogurt which provides some protein and a much needed cooling effect on the tongue. – If you dare, pan-fry some boneless skinless chicken thigh meat and add it to the other ingredients during the mixing step. The acidity from the tamarind and the heat from the chili powder keep the meat tender and flavorful resulting in some non-traditional awesomeness! There is sushi and pizza and brownies and pot pies and fried chicken and monster burgers… but none of this will ever come close to good ‘ol stupid simple curd rice and pickle! I’m not exaggerating here – curd rice is so close to every south Indian’s soul that no amount of research can take it away him/her for more than a month. 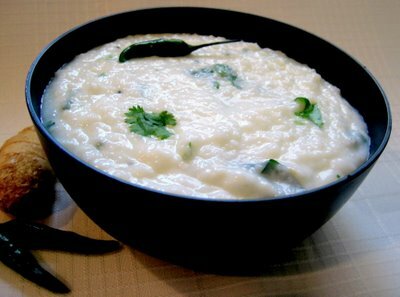 Curd rice is food in its entirety – soulful and simple. That being the case, the only thing that is required on a plate of curd rice and pickle, is vegetables! A meal which has 3/4 cup cooked rice, 1 cup whole milk yogurt and 2 cup of vegetables cooked with ghee contains just the right amount of calories, carbs, protein, fat, vitamins, minerals, oooohs and aaahhhs! Ever heard of a world where vegetables are as tasty as comfort foods? Welcome to India! But sadly today’s south Indian (vegetarian) diet has little to no vegetables! Vegetarians seem to care only about not eating meat and don’t seem to care much about eating vegetables really! Traditionally, vegetables in the south Indian diet basically meant poriyal and kootu. Poriyal is shredded or diced vegetables that are shallow fried or sauteed along with spices to produce a dry dish and Kootu is vegetables (and coconut) added to lentils to produce a semi-solid dish. I’m sure every cuisine has a way of including vegetables in the diet, but there are two things unique about the south Indian diet – one, literally any vegetable, from bitter gourd to broccoli, can be made as poriyal or kootu with ease and two, vegetables (in the form of poriyal or kootu) are unbelievably delectable and are loved as much as the other dishes listed above! So, today, what is wrong with south Indian vegetables? They are cooked using plenty of vegetable oils high in polyunsaturated fats and they are consumed in small quantities. And what is the fix? Cook ’em using reasonable amounts of ghee or coconut oil and consume them, not by the spoonfuls but, by the bowlfuls! Done! – Rid your diet of all anti-nutrients like lectins, gluten, vegetable oils and sugars and prepare your beans and legumes very well prior to cooking. – Eat less of foods that don’t have much to offer like rice, dosa, idly, oils etc. and eat plenty of nutrient rich foods like vegetables, eggs, wild seafood and good quality meat. – If general health is your goal – eat per hunger, eat modified traditional foods to satiety to ensure you get enough mirconutrients and stay active. – If fat loss is your goal – eat less, eat enough protein, eat starchy carbs only post training, get 80% of your calories from the nutrient rich foods and only supplement with nutritionally skinny traditional foods until you reach your goal. – If sport performance is your goal – eat enough to recover well, eat plenty of nutrient rich foods, eat enough (modified) traditional foods to satisfy caloric needs, eat plenty of protein and carbs on training days and protein and fat on rest days. Note: None of the pictures used in this article were clicked by me. If you are looking for the recipe or want to compliment someone for such awesome pictures, the websites/blogs from which these pictures were taken are on the pictures themselves. Lavanya, Could you please post the recipes here, so that everyone interested can benefit, instead of emailing you ?? Thx !!! Great post Raj! I like the dosa burrito and pizza ideas. Uthappams topped with mince are pretty awesome too. 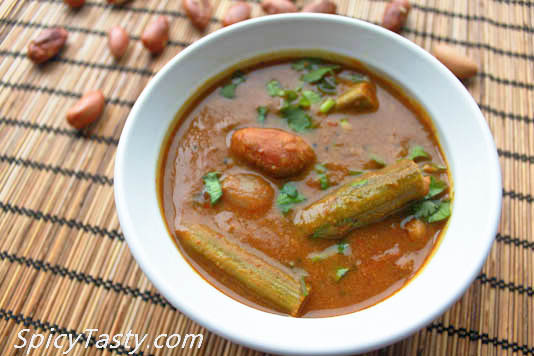 There’s a traditional Hyderabadi dish – Dalcha – made with channa dal, goat/lamb and gourd that tastes delicious, it can be an alternative to Sambar. Cheese dosa is something that I normally do and infact, add some cut green chillies to make it Jalapeno Cheese dosa 🙂 When done this style and eaten with korma (basically mixed veggies in a coconut-based gravy), one or two dosa is how much I can eat. Kaima idli (saute instead of deep fry?) with paneer would be a good alternative too, I think. I guess we can experiment a lot based on the template you have provided. Raj, great post !! The best one yet, I would say. Another way to make the tamarind rice more nutrient rich would be to add sauteed chopped vegetables such as peas, beans, carrot prior to mixing the masala with the rice. Just like yoghurt these vegetables should give a sweet flavor to compensate for the heat. Have not tried this, but no reason why this wouldn’t work! Great post Raj! especially tweaking the typical south Indian diet so that I wont feel like its dieting at the same time it will be easy to sustain for a lifetime !! !